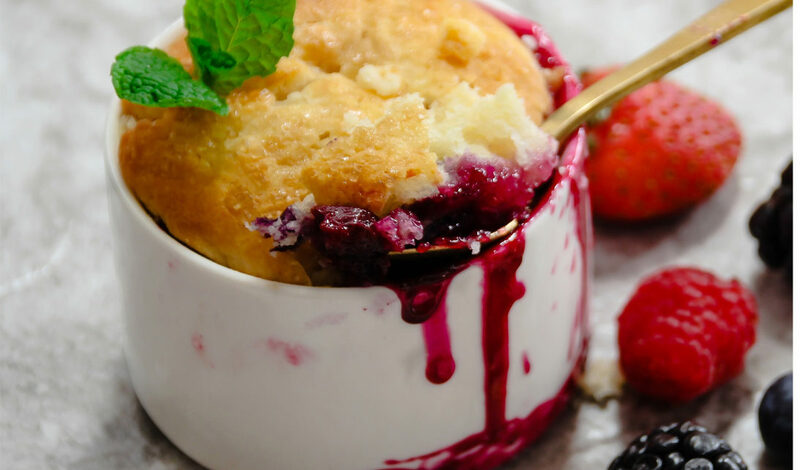 Put berries in an ungreased 5- to 6-cup gratin dish or deep-dish glass or ceramic pie plate and sprinkle evenly with 3/4 cup sugar. Sift together flour, baking powder, salt, and remaining 1/4 cup sugar into a bowl. Add milk and butter and whisk until smooth, then pour over berries (don’t worry if berries are not completely covered). Bake slump in middle of oven until top is golden, 40 to 45 minutes. Transfer to a rack and cool 20 minutes. Serve warm.